Ask about our Military discounts and great monthly rates! Between downtown Fort Walton Beach, Florida and five miles to the west of Destin, Florida. Sugar white sand, emerald green waters, and sensational sunsets await your family. 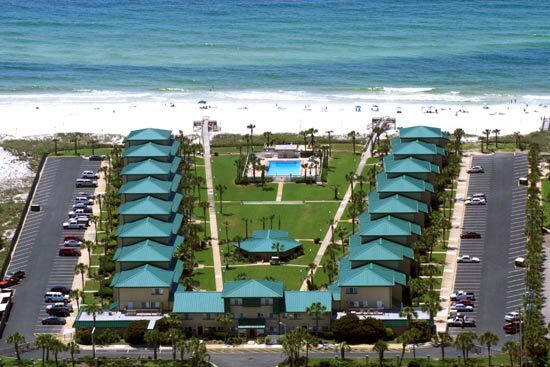 Plan your next vacation in Fort Walton Beach, Florida on the beautiful Gulf of Mexico at Seaspray Condominiums. Seaspray is a gated community where you can drive right to your front door. shores of the Gulf of Mexico.